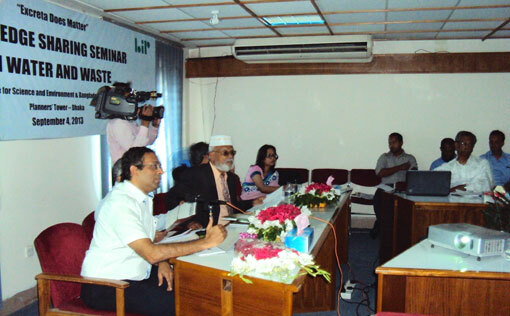 The Centre for Science and Environment (CSE) organised a knowledge sharing seminar in partnership with the Bangladesh Institute of Planners (BIP) on September 4th, 2013. The objective of the meet was to share knowledge on river conservation, pollution monitoring, urban sewage treatment, groundwater and lake management in India and Bangladesh. The discharge of untreated wastewater and the ensuing contamination of surface water bodies are rising steadily, as the gap between treatment infrastructure and sewage generation is increasing. This has a massive health cost in both countries. Urban water bodies – marshlands, ponds, wetlands and lakes – play a vital role in ground water recharge, flood control and storm protection. CSE tried to share the ways to achieve groundwater security by protecting these water bodies, as well as scaling up city level rainwater harvesting. 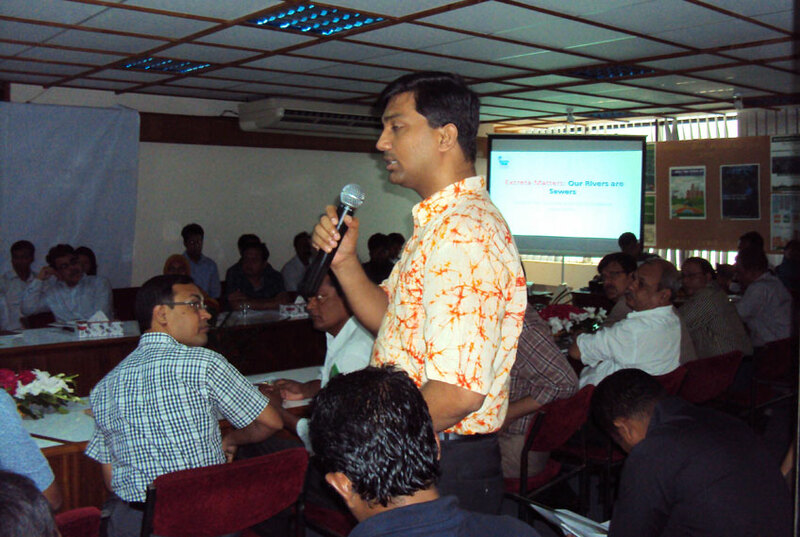 More than hundred people participated in the workshop and shared their views and opinions. The participants included regulators, policy makers, municipal engineers, researchers, academicians, students and NGOs of Bangladesh. Nitya Jacob and Sushmita Senguptafrom CSE presented the Indian scenario of groundwater management, lake conservation and river pollution. The first part of the seminar focussed on the river pollution. Dr. M Shahjahan Mondal, Assistant Professor, Institute of Water and Flood Management, Bangladesh University of Engineering and Technology (BUET) highlighted the State of Dhaka Rivers and Governance Framework for its Improvement. Prof. Dilip Datta, Environmental Science Discipline, Khulna University discussed the chemical-geochemical characteristics of rivers in Bangladesh. Dr. Abdul Matin, Bangladesh from the leading NGO, Bangladesh Poribesh Andolon spoke on the River Pollution in Bangladesh and unabated atrocity on people's' right to safe water. This session was chaired by Prof. Sarwar Jahan of Bangladesh Institute of Planners and Hasin Jahan of Water Aid in Bangladesh. 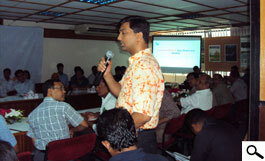 The second half of the seminar dealt with water conservation through groundwater and lake management. This session was chaired by Prof. M.R. Kabir of Independent University. 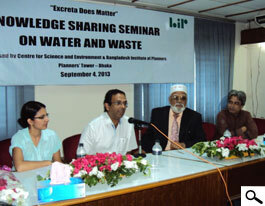 Prof. Kazi Matin of Dhaka University spoke on the groundwater quality and health hazards in Bangladesh. Prof. C.S. Jahan from Rajshahi Unversity discussed about the mapping of groundwater recharge potential in Bangladesh. 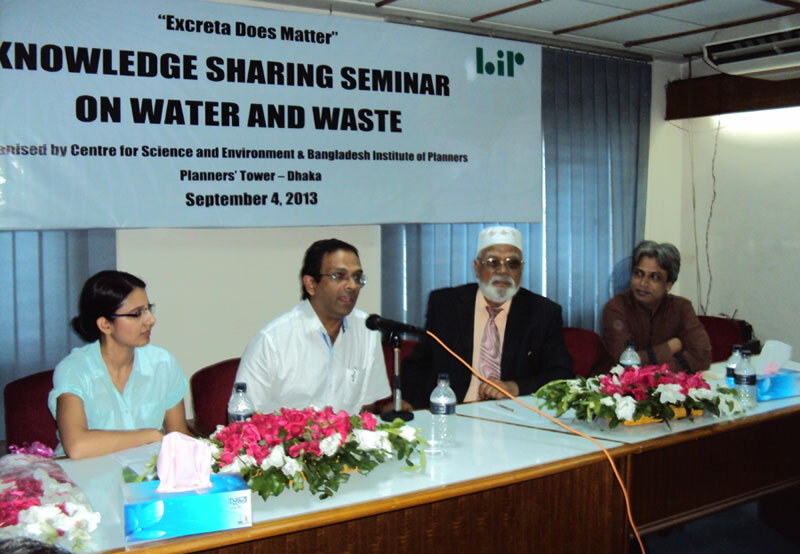 Prof. Ishrat Islam of Urban and Regional Planning Department, BUET focussed on city level rainwater harvesting through conservation of lakes and waterbodies. It was found that the issues and threats to rivers and waterbodies are common to both Bangladesh and India. There was no dearth of law for the protection of these wetlands yet, the countries are failing to preserve its water wealth. Strengthening of the implementation of the regulation is the need of the hour.